Located in the Selkirk Mountain range, Castlegar has become known as one of the most desirable places to live in the region. 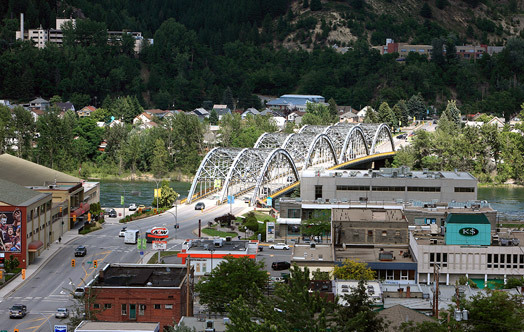 A vibrant mix of commerce, recreation, and community makes Castlegar an easy choice for a comfortable and active way of life. 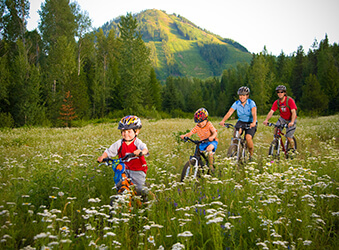 Natural beauty and rugged adventure is at your doorstep in Castlegar with its biking and hiking trails and world-class skiing at nearby Red Mountain. Kayaking adventures are also very popular on the Slocan River. Castlegar is hub-central for exploring life’s tickle trunk of outdoor activity in the West Kootenay. Camp, hike, shop, golf, fish, mountain bike, pursue arts and culture, or capture wildlife on your camera. We have a country-like setting, but also have an airport, I live on the river and have land where I can grow a garden easily, we’re rural with culture, there’s good access to the US (shopping, Spokane Airport, you can drive to Las Vegas or even Mexico), we have great schools with a French Immersion program, and lots of kid’s activities are available with less competition, but still quality programs. Grand Forks, the cultural and commercial centre of the Boundary Country, is surrounded by mountains, lake and rivers that provide the perfect setting for many outdoor four-season adventures that are available year round. With a population of 4,000 Grand Forks offers a unique combination of ambient charm and urban convenience to this peaceful and fast-growing area. 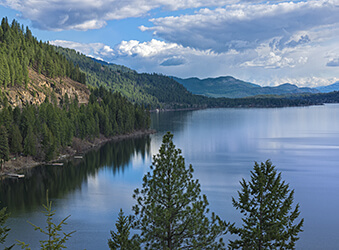 Centrally located between Kelowna and Spokane, and close to beautiful Christina Lake, Grand Forks provides a strong commitment to healthy living, affordability and great quality of life. As you descend into the ’Sunshine Valley,’ Grand Forks blossoms before your eyes. 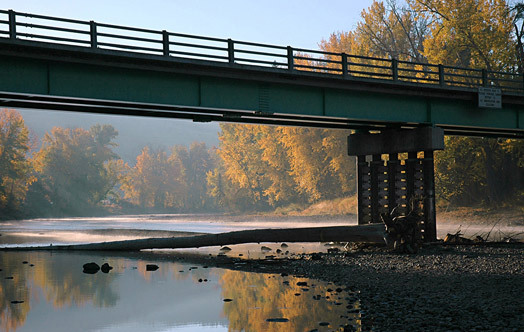 With the Granby River flowing into the Kettle River, our town is rich with heritage and natural beauty. You’ll find the heart of our town filled with cafes, unique shops and in the warmer months an amazing farmer’s market. Christina Lake is down the road 20 minutes and we are located minutes away from the US border crossing. From camping and fishing, skiing, golfing, to sampling a bowl of homemade borscht, Grand Forks is a place our residents are proud to call home. 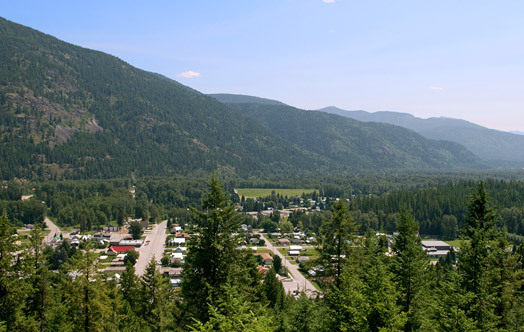 Known as the smallest incorporated city in Canada, the charming community of Greenwood sits along Highway #3 in the Kootenay Boundary Region of the Southern Interior. 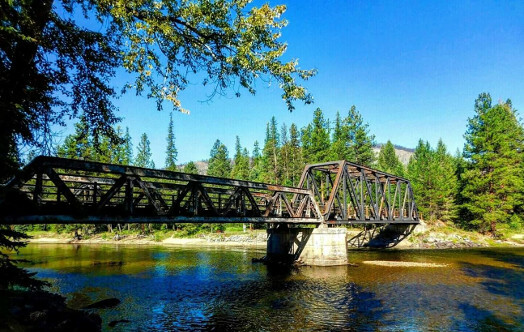 As the gateway to the Trans Canada Trail, Greenwood offers outdoor enthusiasts numerous hiking and biking trails Camping, fishing and hunting are among the other recreational activities enjoyed by locals and tourists alike. 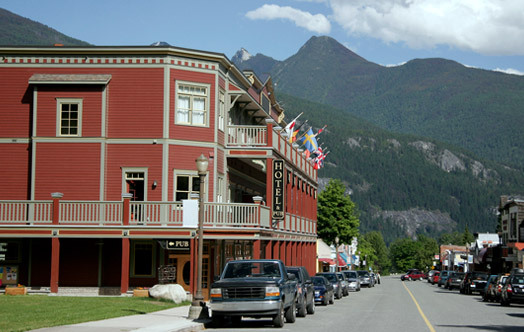 A product of the silver bonanza of the 1890’s, the scenic community of Kaslo is set on a delta of the Kaslo River on Kootenay Lake, between the Selkirk and Purcell Mountains in southeast British Columbia. 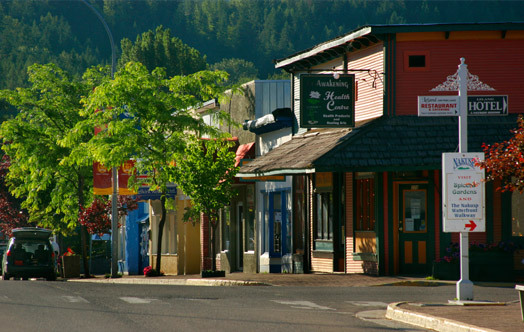 Old world charm and community spirit characterize the town with its tree lined streets and heritage houses. As the region’s first city, Kaslo has a colourful history and proudly celebrates its strong British heritage with an annual celebration for Queen Victoria’s birthday. There are several beautiful golf courses in the area, as well as hiking trails, lakes and rivers. Situated in the scenic Kettle Valley, Midway has a warm climate which makes it a great place to hike or cycle through the village. Due to its close proximity to the American border and 40 minute drive from Grand Forks, Midway is located near several large shopping areas. 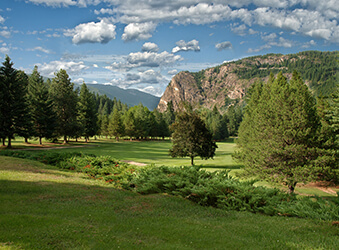 In addition to hiking and cycling, residents enjoy curling at the local curling club, golfing at the Kettle Valley Golf Club and skiing at Phoenix Mountain Ski Hill. Cross country skiing and snowshoe trails are also available. 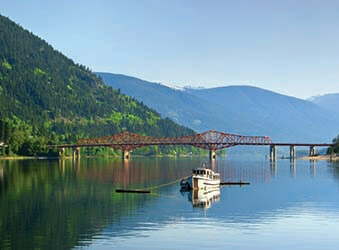 Surrounded by lakes and mountains, Nakusp is fondly referred to as the “Hidden Gem” of the Kootenays. The Arrow Lakes and surrounding area are known for beautiful scenery and a wide array of outdoor recreational opportunities. 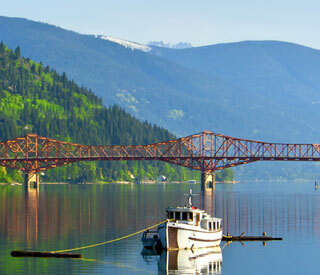 Nakusp is known for its year-round amenities and warm and friendly community. It is a vibrant business community and offers all the amenities only minutes away. 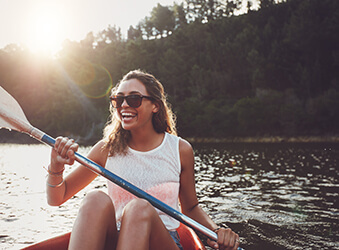 During the summer residents enjoy world-class fishing, boating, horseback riding, hiking, mountain-biking, and golfing. A virtual wonderland in the winter months, there is also great ice fishing, cross-country and downhill skiing, snowshoeing and snowmobiling. The soothing waters of the Nakusp Hot Springs are an attraction for tourists and residents alike. Nelson is a vibrant community offering a rare blend of outdoor adventure as well as arts, cultural and heritage experiences. Nestled amongst the Selkirk Mountains and on the shores of Kootenay Lake the area is a mecca for, hiking, mountain biking, golfing or boating. As the season's turn, the award winning terrain and abundant snow make for world class skiing and winter adventures. Nelson's live entertainment venues host first-rate performances year round, which combined with the selection of more than 30 fine restaurants, and the many seasonal outdoor patios, you'll experience the advantages of big city cultural nightlife and dining. Come the warm days of spring, summer, or fall, I just enjoy hopping on my bike, riding to work, and arriving there invigorated to start the work day. On my way home – what should I do? Shall I go by the boathouse and put the kayak in the lake for a short paddle or ride along Baker Street to stock up on local delights or organic produce? Oh yeah, it's Friday afternoon, I could stop into the local wine store and taste a little red or white wine before deciding on a bottle. Then home to get ready for dinner out at one of the many fine dining establishments before heading to an art show, music event, or theatre production. And in winter, with its crisp cold snowy days that blanket the ground in white, I can head to the slopes to ski, snowshoe, or go to the recreation centre for a workout. Maybe I should stay home warm in front of a fire watching the snow fall on the cedars. So much to do. So many wonders that speak to my heart ... I love living here! New Denver is situated on the beautiful Slocan Lake with the Selkirk Mountain range to the east and the Monashees to the west. Rich in history and natural beauty, this scenic village has a strong sense of community and is an ideal location for work and play. Surrounded by the spectacular landscape of the Valhalla, Kokanee Glacier and Goat Range Provincial Parks, New Denver is a wilderness enthusiast's paradise with unlimited access to every type of outdoor activity. The small town comes alive through the live music, dance and theatre events held throughout the year. Located in Boundary Country on Highway 3 between Osoyoos and Midway, this community of 300 residents was once a gold and silver mining 'boomtown', which over the years has settled into an economy that revolves around agriculture and forestry. Like all small towns, the businesses are locally owned and operated, while many other professionals live in the area and travel for work. The area is rich with recreational and historical sites used for outdoor activities like fishing, hiking, mountain-biking, golfing, and horseback riding. 2 events of note that the community hosts at the end of summer are the Rock Creek and District Fall Fair, "the biggest little fair in BC", and the Sky High Blues Festival. Schools: One school serving K-9. High school students are bussed to nearby Trail. Rossland is found high in the beautiful Kootenay Rockies at an elevation of 1023 metres. This ski-town is home to Red Mountain Resort and Big Red Cats – the world's largest cat skiing operation. Rossland boasts endless recreational activities such as skiing, snowboarding, mountain biking, hiking and golfing. This quaint community offers mountain a laid-back mountain culture to both residents and visitors alike. Nearby communities include Fruitvale, Warfield, Trail, and Castlegar. Salmo is a beautiful village located in the pristine Selkirk Mountains in the Salmo River Valley. Salmo's proximity to Castlegar and Nelson provide easy access to the conveniences of larger centres while preserving a comfortable, slower-paced way of life for local residents. Local parks, trails and campgrounds make Salmo the perfect place to relax and explore. The Salmo River is a paradise for sport fishing, swimming, kayaking and all types of boating. The family-friendly Salmo Ski Hill is ideal for winter sports. Known as the Silver City, and previously known as Trail Creek, Trail is one of BC’s most important economic centers. Situated on the Columbia River in the West Kootenay region of British Columbia, it is a special place with affordable real estate, outstanding recreational facilities and an abundance of outdoor activities. Breathtaking vistas, active arts and culture community, and a variety of service clubs and organizations make Trail one of the most desirable communities in the Kootenay Boundary region. 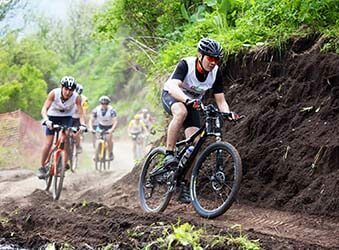 This is a great place to raise a family, as Trail boasts an excellent community atmosphere with distinctive character, having an ‘Old World Feel’. Trail has great opportunities for family recreational activities and the slower pace and lower cost of living makes it an ideal place to work, settle down and start a family. I love the wonderful array of beautiful scenery and wildlife, and the small community atmosphere makes it feel like home! Click to learn more about living in the Kootenay Boundary. Click to learn more about working in the Kootenay Boundary. Click to learn more about discovering the Kootenay Boundary.